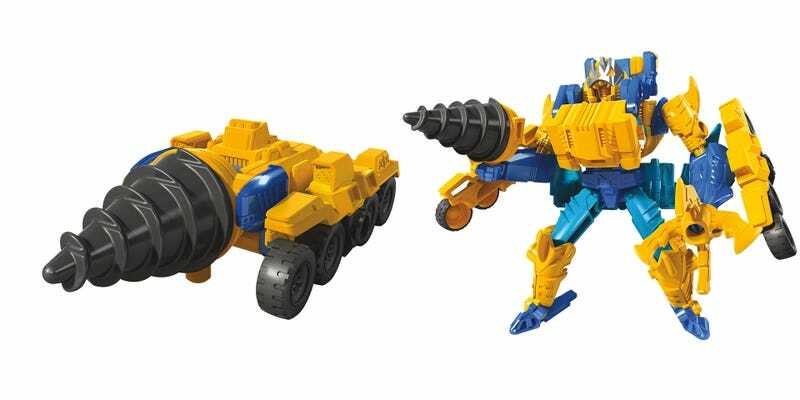 While I’ve been loving Hasbro’s Transformers Cyberverse animated series on YouTube, the simplistic tie-in toy line, aimed at younger fans, hasn’t caught my fancy. That could change later that year, when the Cyberverse Transformers get vehicles that turn into awesome add-on armor. As Transformers toy gimmicks go, Cyberverse’s new “Spark Armor” is pretty cool. Each of the new figures comes with a normal Transformer that converts from vehicle (or animal) to robot, along with a vehicle that can turn into a suit of high-tech armor. Take Skybyte here, for example. 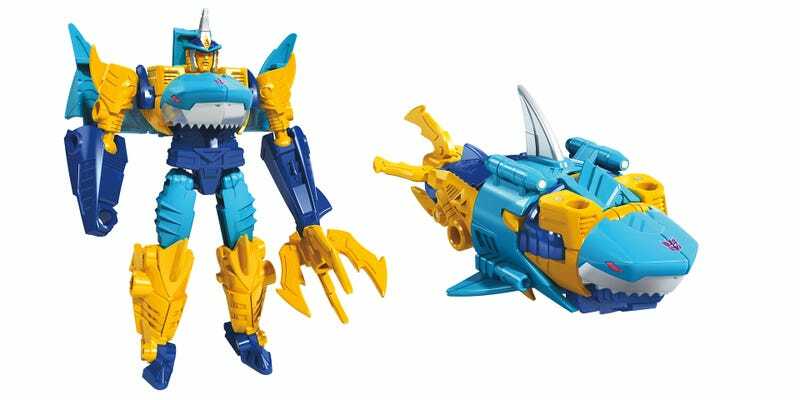 A new version of one of my favorite Beast Wars era figures, he transforms from high-tech shark into a robot. Skybyte comes with a drill tank. That drill tank comes apart and reassembles into armor, making a very cool figure even cooler. Skybyte is one of four figures in the Spark Armor Battle Class series, along with Prowl, Jetfire and Starscream. Check out the slideshow below to see how the characters and their armor buddies come together. 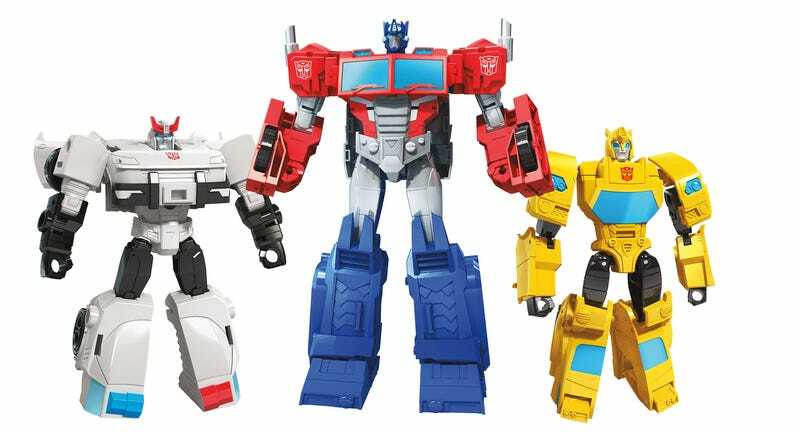 Along with the $14.99 Battle Class line, there’s a $24.99 Elite Class series, which includes Megatron, Bumblebee and Optimus Prime. Bumblebee comes with a battleship that converts into a set of armor with extra arms. Check out all three figures in the slideshow below. 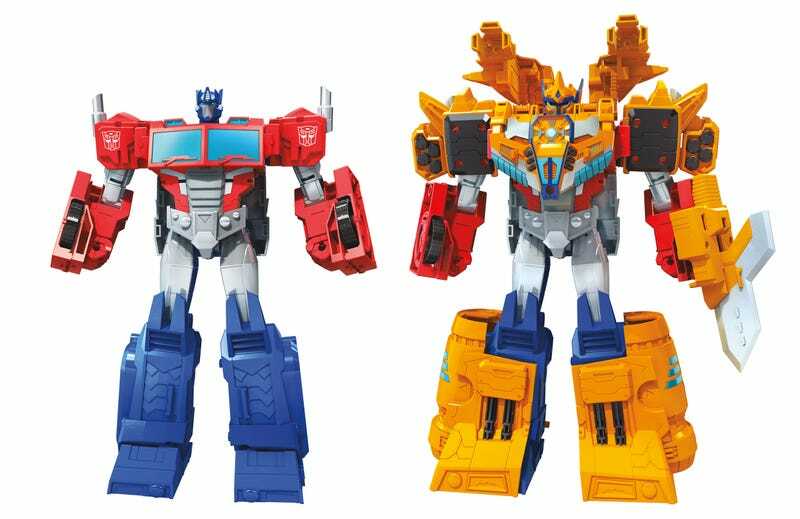 Finally we have the big boss of the Spark Armor line, the $49.99 Ark Power Optimus Prime. 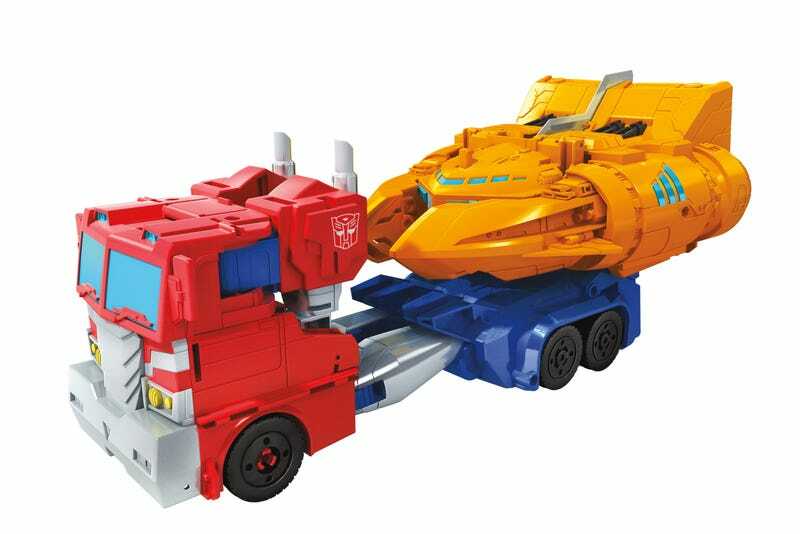 His vehicle mode is the standard semi truck, only he’s carrying a friend—a small-scale version of the Ark, the ship that carried the Autobots to Earth. With his Ark armor he’s a pretty plain Optimus robot. With the Ark armor, he’s a 12-inch-tall beast. Yeah, this is the year I’m going to start collecting Transformers Cyberverse toys. They got me, dammit. Look for all the new armored-up figures to hit stores in August.